I have recently released a Long player called Everything is Turbulence, it’s a jaunty collection of psychedelic electronic dance numbers with a dash of wonky drone pop but its title hints at more universal themes and issues. Since finishing my philosophy degree in the late 1980s, alongside lengthy bouts of hedonism and the fog of late night studio sessions, I have been experiencing a growing disquiet with what I perceive to be a deep pessimism about the human condition and the direction contemporary thinking has been taking us on the subject . It seems to me that reason has given way to reduction, that knowledge has shrunk to a mean spirited misanthropy and science instead of leading Human beings to ever wider vistas of enlightenment has begun to characterise us as meat covered automatons with no more freedom than a mollusc. It was with that in mind that I thought it was time to explore those areas of experience that defy Materialist explanations, to exalt mystery , and to embrace the unknown but above all stop feeling so bad about being human. We are far from perfect that much is certain, the world contains plenty of horror for us to despair about, but I do think we could benefit from practising some Positive Existentialism: to state that far from being encoded machine creatures, we can be free-thinking entities in a dynamic universe, a universe still largely unknown and one in which we can play a positive role. We are individuals in a complex, often beautifully chaotic Human Community with rights and responsibilities to each other and the world in general. It seems to me that the only way we can improve that world is to realise that there is no need to surrender to any form of Deterministic simplicity, but instead we have to take responsibility as humans, we must try to evolve in a positive direction and embrace as yet unquantified potentials along the way, then perhaps we can fix what is broken and be just a little bit happier about our place in the great cosmic carnival. Turbulence is not to be feared, it is instead that very uncertainty that propels us forward. One of the writers I’ve enjoyed very much on this subject, and on many matters concerning the evolution of consciousness, is Gary Lachman, he has an easy style and ability to distill quite weighty matters into vivid prose, bringing subjects to life in a way that many academics struggle to do. Gary Lachman writes about Occult matters too, not wizards and magic tress, but Occult as in ‘’unseen’’, seeing as much of modern quantum theory involves many conceptual but invisible objects, then lets not immediately run away in fear of witches and trolls just because you can’t point at a thing. Not just theoretician, he is also an historian. 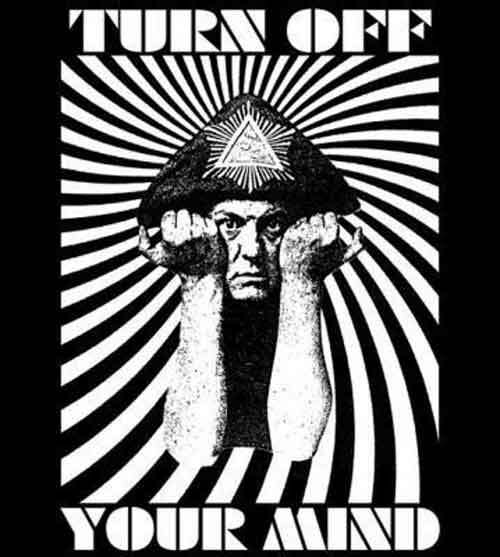 His book Turn off Your Mind provides an alternative view of the counter culture of the 1960s, teasing out a fascinating insight into the dark side of the age of Aquarius; he has also written books on Jung, Steiner and Crowley, among others, which again provide balanced critiques that sift myth from reality. 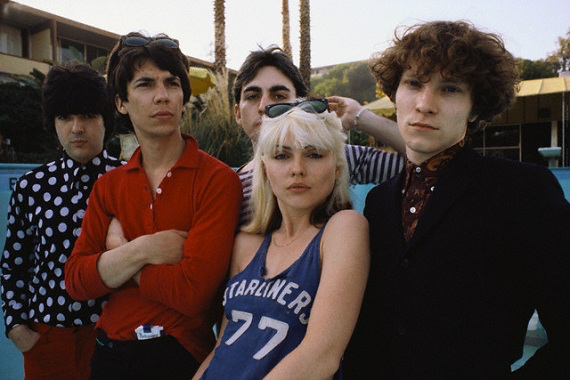 In another life, Gary was also the founder member of Blondie and is a proud member of the Rock 'n' Roll hall of fame. Gary, thanks so much for taking the time to talk to me. Can you give those unfamiliar with your writing a broad overview of your books and work? For the past twenty years I've been writing about what we can call the "western esoteric tradition" in a variety of ways, but basically trying to link it up with ideas about the evolution of consciousness, the notion that consciousness isn't fixed or static but develops over time. The Western esoteric tradition is basically concerned with the inner aspect of religion and spirituality. So, for example, Kabbalah is the inner aspect of Judaism, Sufism is the inner aspect of Islam, and so on. Christianity has different esoteric strains, Gnosticism, Christian theosophy, alchemy, and so on. Fundamentally all esoteric traditions are concerned with direct spiritual experience and knowledge, rather than the faith and belief that is required from mainstream religions. Someone interested in esoteric ideas wants to have a direct experience of the spiritual aspects of reality, not to take them on faith. As direct spiritual experience is a matter of changing or altering consciousness, its relation to the idea of an evolution of consciousness seems apparent and one can see that both follow parallel paths. A few years ago i remember being deeply effected by one of Adam Curtis’s documentaries called All Watched Over By Machines Of Loving Grace. The film described a world that has been distorted and over simplified by our fascination with the idea that computers could solve all our problems. One of the many aspects of this programme was the work of geneticist William Hamilton and his theory of the selfish gene. I found Hamilton’s conclusions unpalatable, and a perhaps even a little absurd, but I’ve become worried by the resigned way in which these theories have been absorbed into basic assumptions about Human "nature" and the fact that they seem to be filtering down into many aspects of our day to day life. It concerns me that this kind of reductive thinking leads to a terrible fatalism at best and at worst the slide into some kind of eugenics nightmare. How do you view what it is to be human? I think the definition of what it means to be human will be one of the central concerns of this century. We can see interest in this idea in several areas, from science to culture to sociology. I reject all 'explanations' of humanity that see it in reductionist terms. While I am no enemy of science - I worked as a Science Writer for a major US university for a while - I do think its tendency to reduce human beings to merely a collection of neuro-chemical reactions is very dangerous. Sadly, we have a bad habit of wanting to hand over our freedom and responsibility to some authority - whether religious or scientific - and except for a few determined individuals, seem quite happy to let 'science' provide all the answers. Being human to me means accepting the challenge of freedom and taking on the difficult work of becoming more conscious. Our evolution isn't going to be in the direction of a 'man-machine merger', nor will we become better people through genetic engineering. Evolution requires purpose and effort and it is up to us - those who can accept this challenge - to understand our own complexity and potentialities. Are you an optimist about the human condition and our future on this planet? Yes, I am optimistic. Mankind has faced tremendous challenges in the past and has persevered. The future won't be a picnic, but I think we have the ability to overcome the problems facing us today. That is how we evolve. But we need to work this out for ourselves. Aliens or ancient gods aren't the answer. I studied Philosophy back in the mists of time and i found myself particularly drawn to the philosophy of science, reading writers like Paul Feyeraband and Thomas Kuhn, who were asking questions about the nature of scientific discovery and innovation, exploring the fundamentals. How do you see discovery, scientific or otherwise, it strikes be its quite rational to question many scientific assumptions, as much as its to question any dogma? how does science relate to esoteric studies? I don't see any fundamental difference between the pursuit of science and that of esotericism. Both are concerned with knowledge. Science tends to be concerned with the physical, measurable world. Esotericism, like philosophy, is concerned with the inner, non-material world, the world of our inner experience and of the meanings that we discover in reality. I think we need to question both science and esoteric or occult ideas. Dogmas on either side aren't helpful. One thing to be aware of, I think, is the difference between someone who is passionately involved in pursuing the kind of ultimate questions that fundamentally drive both pursuits, and someone who is looking for 'answers', so that they can feel these mysteries are 'solved' and then can just get on with life. The obsessed ones - I count myself among them - aren't looking for answers, scientific or spiritual, but more and more insightful questions. The pursuit itself is the goal. I loved ‘Turn off your Mind’, your study of the 1960s counter culture, tell us a little about that book. What was it about that era that threw up such contrasting groups, for every flower child there was a Process church of the final judgement, did you get flack for pointing out some of the unpalatable sides to the utopian era? what is its legacy? Well, the '60s weren't quite a utopia, the beliefs of some people notwithstanding. It was to be sure a turbulent, exciting decade, but it isn't something we need to 'get back to', as some people suggest. In essence, the 'occult revival' of the 1960s - the theme of Turn Off Your Mind - was a reaction to the increasing 'scientification' of life, the modern idea of explaining everything 'rationally', in order to create a world free from superstition. This in itself is not a bad idea, but what happened is that it threw the baby out with the bathwater and left out practically everything that makes life worth living. The 60s 'anti-rational' reaction was an attempt to correct the imbalance. But as we know, what usually happens is that one reaction overdoes it, and the compensating one does the same, and you end up with a kind of pendulum swing from extreme to extreme. I think we are in a good position because we are aware of the dangers of both extremes and can try to arrive at a creative balance between the two. Easier said that done, to be sure, but more or less the aim. How has your own evolution of consciousness progressed? when you started Blondie i’m guessing esoteric ideas were a little out of vogue? what did you take from those early days and where are you at now? To be honest I think I'm a good example of the evolution of consciousness. I started out as a rock and roller and now I write books on philosophy and history. I think I've maintained the kind of freshness and liveliness that is part of the music world - or at least was back in the 70s when I was doing it - and now apply it to my philosophical and historical pursuits. These things need to be kept alive, not left to experts and academics, and that's what I try to do. And even my appreciation of the occult and the esoteric has changed. I've gone from being a rather naive enthusiast to trying to understand the occult tradition in terms of the dialectic of consciousness that has been at work in the west for centuries. In fact my latest book, The Secret Teachers of the Western World, is precisely about this. The important thing is to keep thinking. We live in an infinitely mysterious world and we are just beginning to scratch the surface of things. There are great depths and heights of the human mind waiting to be explored. What is it with Rock n Roll and the mysterious side of life? is it just the capes and eyeliner or is there a connection between music and the arts and something essentially magical? Rock and roll and the occult share some common terrain. Both work by by-passing the conscious, rational, critical mind and getting down to the subconscious, where our reservoirs of vitality and energy are. Both can effect a kind of trance state. Both are - or at least used to be - threatening to the status quo - Plato famously banned most music from his utopian Republic, not because he didn't like music, but because he was aware of its ability to throw its listeners into wild, ecstatic states, when reason goes out the window. But Plato was also very interested in myth. He knew that both sides of human nature need to be involved in our experience. The question is: what is the right combination? We are still working on that. You are certainly no slouch, can we expect any new books in the near future? or perhaps some talks in the pipeline? I've mentioned The Secret Teachers of the Western World. That should be out later this year. Currently I'm working on a book about the British writer and philosopher Colin Wilson, whose ideas have influenced my own work greatly. He is best known for his first book The Outsider, a study in alienation and creativity. His book The Occult - a still very readable and exciting study of the paranormal and man's hidden powers - was what got me interested in all this ages ago, when I first read it in 1975, while playing in Blondie. I have plans for other books and will be giving some lectures in Canterbury next month (October) and in the US in November. I rarely get a chance to rest but I don't mind as I'd rather work on articulating my ideas and insights. As long as I can keep doing that, I'll be happy. Gary Lachman's book Turn off Your Mind and Justin Robertson's Everything Is Turbulence is out now. There'll be much from Justin over the coming days.